Already have broadband and phone, and interested in picking up a great value TV only deal for a complete entertainment line-up? You’ve come to the right place. Broadband Genie may specialise in home and mobile broadband, but we also have a selection of excellent TV only packages for you to compare. With a TV only deal you get the freedom to choose a TV package separate from the provider, or providers, delivering your broadband and phone service. And there's now more choice than ever before, including streaming TV that only requires a broadband connection. You can start your search for that perfect TV only deal right now using the comparison table here. Or for more information about TV only packages, read on below. 1,000+ movies on demand with a new premiere daily, including all genres: dramas, action, rom-coms, documentaries and kids movies. HD included at no extra cost. Includes Catch-Up TV: 30+ channels included. Free Sky Q app: watch live and on demand, compatible with tablet, mobile or laptop. Sky’s best box yet. With Sky Broadband, this can also act as a Wi-Fi hotspot. Watch live in other rooms with Sky Multiscreen (£12 per month). View top TV shows, sports and movies at Ultra HD resolution (Sky Q 2TB and Multiscreen required). Includes Sky Q remote with touch sensitive controls and lost remote finder (Sky Q 2TB). Includes 11 free to air HD channels: BBC One, BBC Two, BBC Four HD, BBC News HD, BBC C HD Cbeebies, ITV HD, 4 HD, 5 HD, NHK World and RT. High definition channels with the clearest pictures. 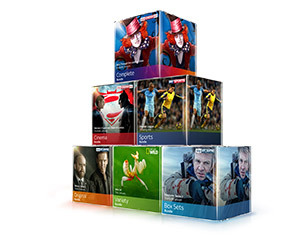 Watch live TV online with Sky Go for no extra cost with compatible laptops, tablets and smartphone. Included with any Sky TV bundle. Choose from a wide range of shows, live and on-demand. 70 entertainment channels included, just sign up. Enjoy on-demand box sets of all your favourite shoes from Sky, All 4 and more. All at your fingertips on your connected Sky Q box. Catch up on the latest episodes from the last 30 days. Includes a wide range of catch up TV channels in the UK. 8+ channels of live sport, including the new Sky Sports Main Event Channel. 126 Premier League games, Formula 1 races + 127 live Sky Bet English League games, alongside 300+ channels, featuring the world’s biggest shows: Sky Atlantic (channel exclusive of monthly screen dramas), Sky1, Sky Living, FOX and more. Inc. Sky’s new Sports Mix channel. Includes Friday Night football - 10 live Friday night games. Free Sky Q app: watch live and on demand, compatible with tablet, mobile or laptop. Watch shows around the home with Sky Q Mini boxes. 8+ channels of live sport, including the new Sky Sports Main Event Channel. 126 Premier League games, Formula 1 races + 127 live Sky Bet English League games, alongside 270+ channels, featuring the world’s biggest shows: Sky Atlantic (channel exclusive of monthly screen dramas), Sky1, Sky Living, FOX and more. Inc. Sky’s new Sports Mix channel. Includes Friday Night football - 10 live Friday night games. Free Sky Q app: watch live and on demand, compatible with tablet, mobile or laptop. 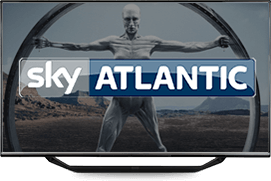 270+ channels, featuring some of the worlds biggest shows: Sky Atlantic (channel exclusive of monthly screen dramas), Sky 1, Sky Living, FOX and more. Incudes Sky's new Sports Mix channel and Catch-Up TV - 30+ channels included. Free Sky Q app: watch live and on demand, compatiable with tablet, mobile or laptop. Sky's best box yet. With Sky Broadband, this can also act as a Wi-Fi hotspot. Watch live in other rooms with Sky Multiscreen (£12 per month). View top shows, sports and movies at Ultra HD resolution (SKy Q 2TB and Multisreen required). Includes Sky Q remote with touch sensitive controls and lost remote finder (Sky Q 2TB). Watch live TV online with Sky Go for no extra cost with compatible laptops, tablets and smartphones. Included with any Sky TV bundle. Choose from a wide range of shows, live and on demand. Should I get a TV only package, or TV bundled with broadband? Many of the TV deals you’ll find on Broadband Genie are bundled with broadband and phone (known as “triple play” deals) and sometimes mobile too (“quad play”). These are extremely popular as you get a complete home entertainment and communications setup for one monthly price from a single provider. This simplifies billing and customer service, and it can sometimes save money over using separate suppliers. But bundle deals aren’t always the best choice. You may have very specific requirements for your broadband which limits the options, or perhaps you like the broadband offer from one ISP but find a better TV deal elsewhere. Or maybe your home already includes broadband and you need a TV only package without switching ISPs. If there’s not a specific reason for you needing a separate TV only package we would always recommend at least looking at the choices for broadband and TV bundles and checking prices to see whether you could save money. But if switching broadband is not what you want to do (or you have no say in it) there are several options for TV only deals, some of which provide a great deal of flexibility so you’re not necessarily signing up to another long contract. What are my options for TV only packages? NOW TV is an extremely flexible service that’s ideal if you’re not interested in signing up for long contracts and don’t want to install loads of new equipment. Entertainment, movie, kids TV and sports passes can be purchased on a monthly basis, and NOW TV works on a wide variety of hardware such as tablets and smart TVs, as well as NOW TV’s own affordable set-top boxes. However, as the content is streamed you will need a broadband service. While Sky has been heavily promoting its excellent broadband service over the last few years, they do still offer satellite TV only deals. Sky has hundreds of channels and lots of packages to choose from. All deals include a Sky Q TV box with recording and other advanced features. Virgin TV is a competitor to Sky, offering a similarly huge choice of channels and an excellent TiVo set-top box that’s brimming with extra features. Virgin Media is not available to everyone however, as you must be in a Virgin network in order to receive its service.